You can perform some action when the user moves the mouse over a user interface element by defining event handlers for the MouseEnter and MouseLeave events for the element. 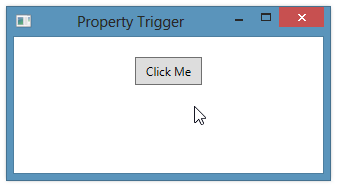 If the action that you’re performing is something that can be expressed in XAML (like setting a property value), it’s more elegant to use a trigger to react to the mouse movement. 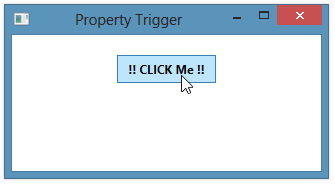 You can define a property trigger for the IsMouseOver property, setting new values for one or more of the Button’s properties when the mouse is over the Button. Note that when you move the mouse off of the Button, the Content and FontWeight properties both revert back to their original values.